Tiger Safari India - Encounter with Fierce & Fiery Royal Bengal Tiger! 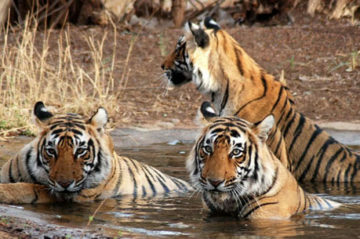 Tiger safari India has acquired much prominence among the travel enthusiasts in the past few years. 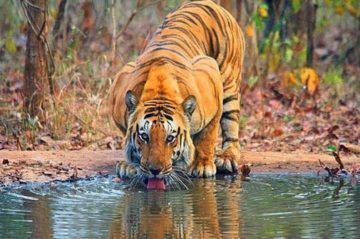 Along with the natural habitats of the tigers, it is also about their lifestyle in the wild, their food habits, mating seasons, their preying on little animals and their majestic look, which attract travelers in multiple ways. 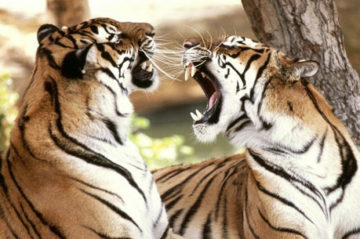 There are many wildlife reserves and wildlife sanctuaries in India that house a bigger population of tigers. We pick the right park at the right time for a safari. That assure you a thrilling encounter with the majestic, fierce & fiery Royal Bengal Tiger. 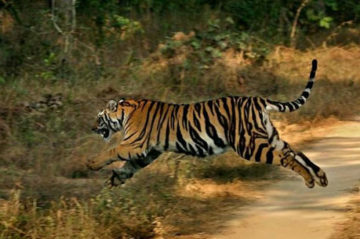 Choose from tiger safaris in Corbett, Ranthambhore, Bandhavgarh, Periyar and Chitwan national park which are some of the destinations famous for tigers safari tours in India. There have been numerous myths and stories associated with Tiger, the royal beast belonging to the wildcat family. Yellow body with black stripes, the feline ferocity, and the majestic attitude-the Royal Bengal Tiger stands for something that is exclusive. If you have been contemplating tiger safari India then you can choose from special destinations, which are famous for tiger safari, for watching birds and butterflies, and for enjoying nature to the fullest. 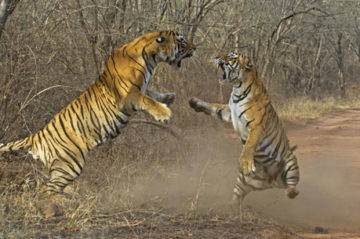 Some of the most famous tiger safaris are conducted as part of India Nepal wildlife tour, as part of Bharatpur, Bandhavgarh and Ranthambhore tour, and also as part of Kerala wildlife tour. The Bandhavgarh National Park in Madhya Pradesh is divided into four separate zones including Tala, Magdhi, Panpatta and the Khitauli zone. 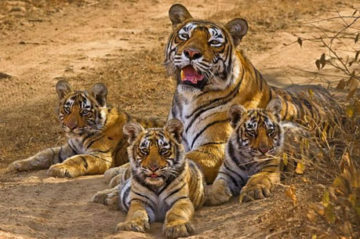 While you go for tiger safari India here, you will discover varieties of tigers like the Blue Eyes, Mukunda, the Banbeni, the Mahman and also the Damdama. Each species has its own unique feature. While you walk into the densest recesses of the Ranthambhore National Park as part of your tiger safari India, you will find Machli, which is believed to be the oldest living tiger in India. Here you can also find the tiger named Mala who derived his name from the beaded line around his neck. 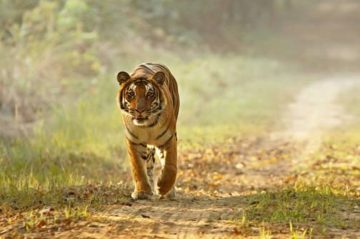 The southern part of India will also not disappoint you, when it comes to spotting tigers amidst a rich natural landscape. You can take a 7-8 days tiger safari or wildlife safari, covering, Periyar Wildlife Sanctuary, Cochin, Munnar and the Eravikulam National Park. 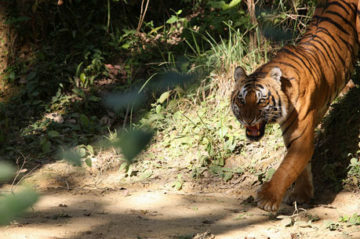 The Periyar tiger trail usually consists of 5 visitors and 5 guides along with armed guards for enhanced protection. With Inside Indian Jungles to guide you to have the finest wildlife safari, you can be sure of settling for nothing but the ‘royal best’. When it comes to enjoying the tiger safari India, you have to maintain some precautions not to disturb the beast in its natural habitat. Just contact Inside Indian Jungles as your safari guide and bask in the richness of discovering the Indian national animal.